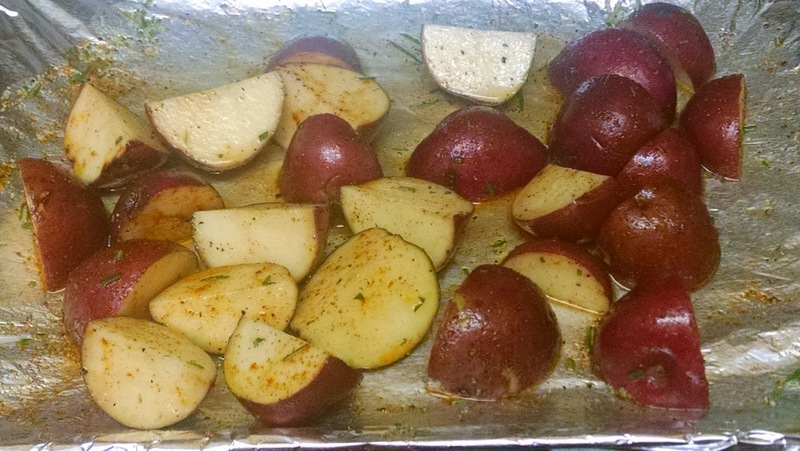 Rockin’ Roasted Rosemary Reds… Potatoes, that is! I think people forget that you don’t just have to bake or mash potatoes to make them stand out. Not to mention this is a fantastic side dish for a Memorial Day BBQ or get-together. If you want to make sure the potatoes are roasted to perfection when you sit down to eat, under-cook the red potatoes at home and finish once you’ve arrived — a few moments to crisp in the oven and you’ll be in business! Truthfully, potatoes are a pretty blank canvas and can be tailored for all kinds of different flavor profiles. Why do I love about these potatoes? 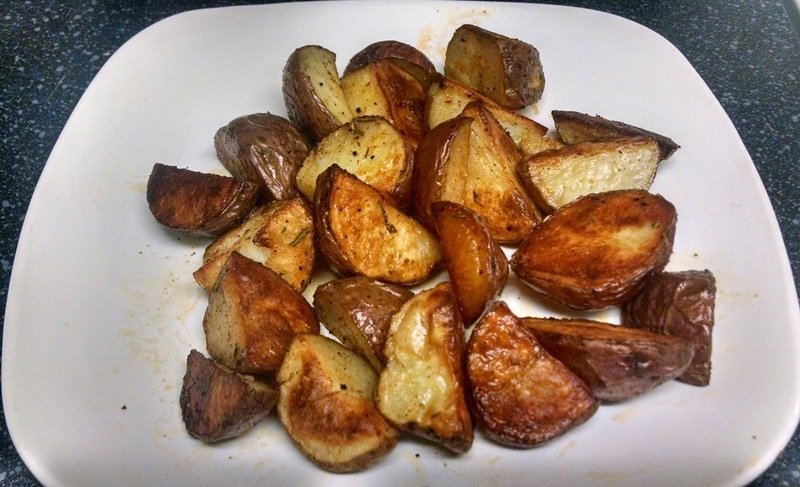 They are crunchy and crispy on the outsides, soft and tender in the middle, and the rosemary brings a nice floral note to these perfect potatoes that are enhanced with the salt and pepper. Plus, these potatoes are super easy, and who doesn’t enjoy that? Preheat oven to 400 degrees. Mix all ingredients together in a large bowl, and spread the potatoes out on a foil line baking sheet so they aren’t touching. Roast for 30 minutes and stir, if potatoes don’t release easily from the foil give them a little more time to brown. Then, roast the potatoes for another 10 minutes or so until they can be easily pierced or cut with a fork. Quartered potatoes ready to be transformed into roasted, crispy deliciousness. Rosemary Roasted Reds are ready to rock!! How can you take these potatoes to the next level? Buy the smallest available red potatoes and leave them whole, treating the whole red potatoes as you would the quarters. This can give you some much needed elegance for any dish. What can you serve these potatoes with? Well, truthfully, anything. You could do fish, chicken, pork, beef, or use these as a side dish. If you are looking for a side dish for your weekend, this will certainly be a success. I hope this gives you some inspiration for roasted potatoes, like with so many others, this is a recipe I find myself going back to again and again.